Our product range includes a wide range of lifter bars. 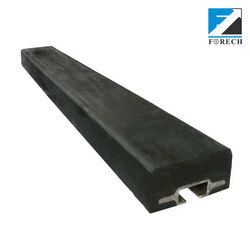 Forech-Hilton also manufactures and supplies Lifter Bars for grinding mills as stock items. These Lifter Bars are composites of metal and rubber and come with a ‘T-Track’ fastening system. They are made with high wear resistant rubber grade.